For many years now, it has being possible for PC users to view Youtube videos while simultaneously performing other tasks on their PCs through the use of some browser add-ons and so on. For mobile users, this could only be a fantasy. But as the years roll by and technology advances, the ingenuity of app developers also advance. Although it is now possible for smart-phone users to perform PC-level multitasking on mobile OSes provided the user is using the latest version of the mobile OS – Multi-window support on Android 7.0 Nougat and Split View on iOS devices; for the user with a device not running on the most recent version of the device’s OS, it may be frustrating that they are missing on this feature. I have put up this guide to assist Android users on how they can play their Youtube videos in the background while also performing other tasks. As with most of my tutorials, the user is required to download at least one application; this tutorial is not different. The app we’ll be using is called “Awesome Pop-up Video” and is available for free on the Playstore. 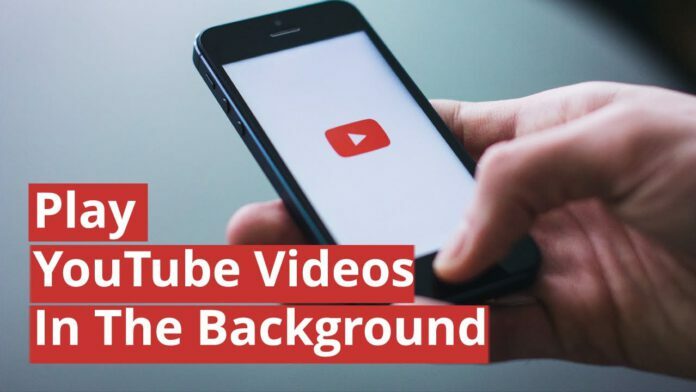 Follow the procedures below to get you started on viewing your Youtube videos in the background. Step 1: Download and install the Awesome Pop-up Video app from the Google Playstore. Step 2: Launch the app on your Android device. After the app is launched, it loads a list of recommended videos for you. Step 3: Next, tap on the search button to search for a video. Step 4: Click on the video you want to play in the background. The app then loads the video to be played, and when it is loaded completely a pop-up comes up with the Youtube video which you selected. And you are done. You can now view your favourite Youtube videos in the background while also using your android device to perform other functions. I hope you liked the tutorial? If you have any questions or suggestions don’t forget to drop them in the comments box below.